The agencies that have loyal clients are the ones that keep growing at a steady rate. It’s from loyal clients that agencies generate repeat business and predictable revenue, eventually becoming sustainable businesses. But what can agencies do to improve their client retention, and where should they focus their relationship-building efforts? In the recent Boost Your Business Webinar: How to Keep Clients (and Keep Them Coming Back For More), Bernard and Tim gave advice on how to improve client retention. Key to the discussion was measurement and communication–not only to your clients, but also with your team and Project Managers. Improving your agency’s client retention starts with knowing your baseline. How many clients do you keep and generate predictable and recurring revenue from? And how long does your relationship with them last? You won’t know where to improve if you don’t know where you are. You need to find out how your agency is doing with these key metrics first. Calculate the number of clients that signed up and remained with the agency, and set an acceptable average retention rate as a goal. In our experience, 6 months is a good starting goal, as SEO is momentum driven and may take several months to show full results. The next step is to set smaller, “soft” goals that will help you achieve that 6-month average retention rate. Determine the tasks your agency needs to accomplish to get those incremental wins. If you already have several employees, make sure the goals and tasks are communicated clearly throughout the agency. One proven technique to boost client retention that’s also easy to implement is putting them on a contract. Contracts immediately improve retention rate, and helps you manage client expectations and make deliverables clear from the very start. This makes it easier to highlight the success of your campaign later on. At times, this can mean diversifying into several other services like SEO, which can generate monthly recurring revenue from the same client. If you’re not sure that you’ve chosen the right campaigns for your goals, always ask your Project Manager for advice. Milestones– Did they reach the coveted first position on SERPS, or were they able to generate the target number of leads for the month? Project Status– Report any tasks accomplished, like on-page optimization. This is also the time to point out any opportunities your clients can leverage, like focusing on another keyword or a different aspect of their Social Media Marketing. Keep clients on board with the process, so they know you’re constantly doing something for them. Lastly, always be the bearer of news, whether good or bad. Cultivating a long-term relationship with your clients means keeping their trust. Clients will always appreciate your honesty, and would rather you tell them the bad news than find out for themselves. Clients will stick with an agency that adds value to their business. The more value you’re able to give, the less likely they will switch agencies. Always find ways you can help your clients achieve their business goals. To do this, you have to change your agency’s internal language to “How can I add more value to my client?” Approaching them with that mindset will help you ask the right questions and uncover their real pain points. This could mean recommending a different strategy than the one they wanted. Don’t be afraid to be the expert and suggest the solution that can address their needs. Being able to add more value also requires that you be flexible with your strategy and take a more holistic marketing approach. Digital Marketing is more than just SEO, and you can stay relevant to your clients by exploring channels they aren’t taking advantage of yet. Most of your clients won’t be familiar with SEO, even though it’s almost 2 decades old. Digital is a great medium because everything can be measured. Once they start seeing the positive results of your digital marketing campaigns, they begin to feel financially justified to spend more. As your client’s business continues to grow their business and marketing goals will change. Be sure your agency is evolving alongside them by providing the solutions for these new priorities. As long as you continuously drive more business to your clients, they’re sure to stay loyal to your agency. As you continue to cultivate long-term relationships with your clients, your agency will steadily grow to powerhouse status. 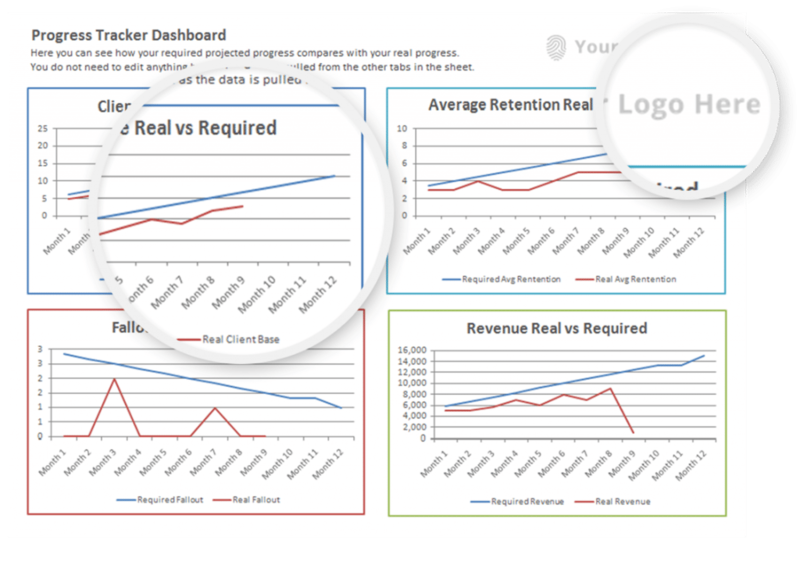 And to help you track your growth we’re providing you with the Partner Progress Tracker, available now in the Resource Center. Use it to help you determine the goals you should set, and see how you’re progressing with those goals from month to month. We hope that your clients can drive the success of your agency in the same way our loyal partners have driven ours. The Boost Your Business Webinar Series allows our partners to benefit from our years of experience, so they too can establish a successful digital services business. Watch out for future Webinars, where we’ll tackle other key aspects to your digital services business. Ask us how you can methodically grow your business by improving client retention. Call our toll-free number at 1-800-250-6106 and talk to one of our Project Managers.